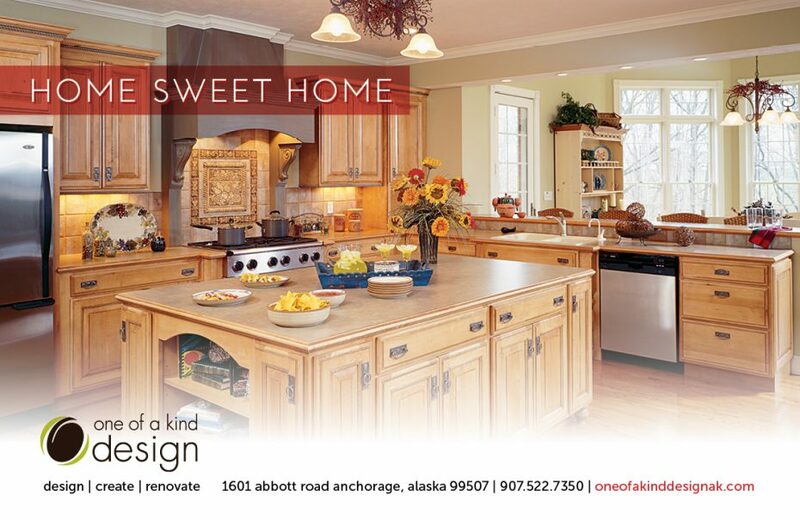 Home Sweet Home - Red Carrot Design, Inc.
One of a Kind Design is an interior decor retailer in Anchorage, Alaska. 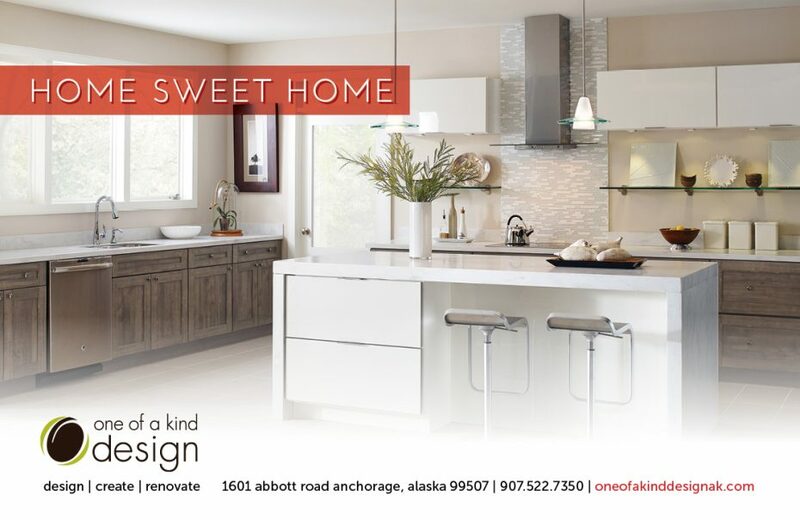 They specialize in creating fabulous, functional kitchens and baths. 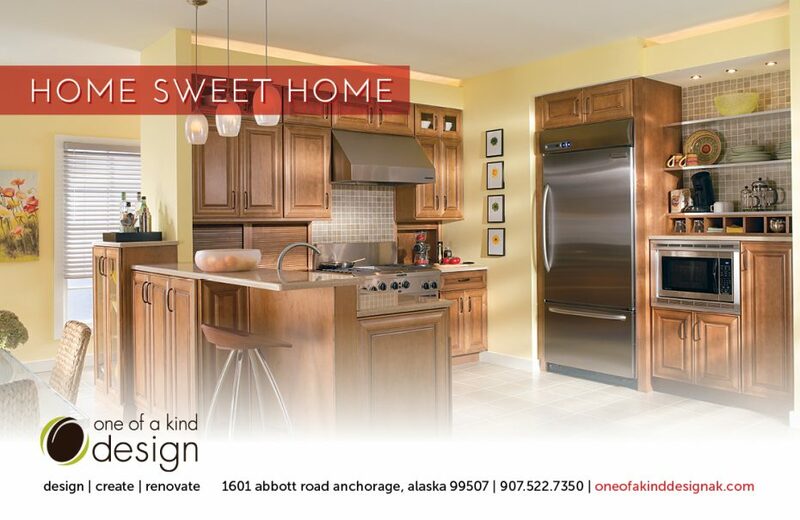 Our Solution: Developed a promotional print ad campaign featuring unique interior products. 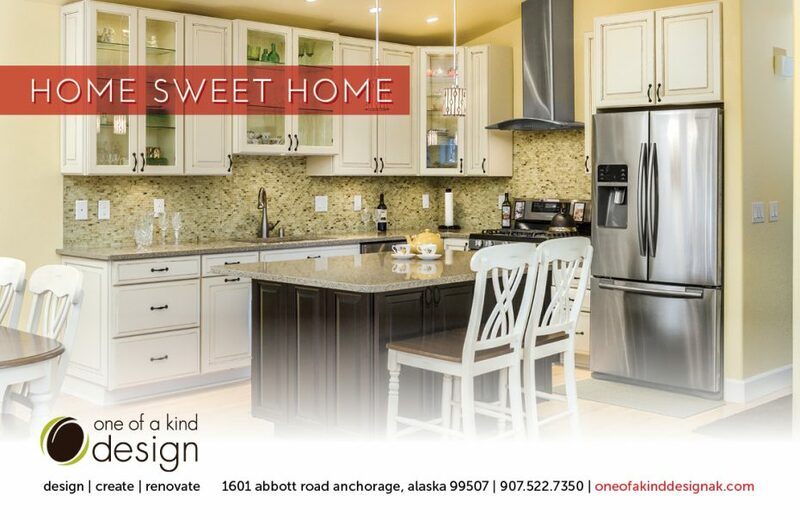 The ad campaign goals were to reach a specific demographic, initiate potential inquiries and create brand awareness & engagement in south-central Anchorage.